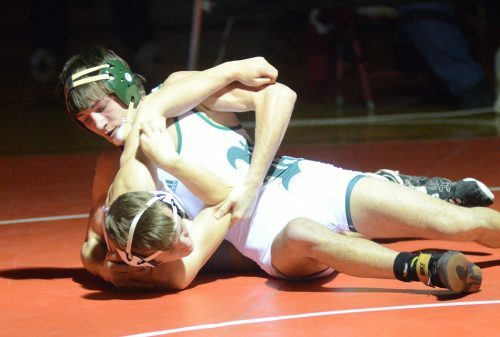 MISHAWAKA — Wawasee wrestling has been hot through the first week of the postseason. Last week, the Warriors earned themselves a repeat Plymouth Sectional championship, and they did so in pretty dominant fashion. As the team prepares for the Penn Regional this weekend, they’re hoping that the cold weather hasn’t, well, cooled them off any. School cancellations due to the historically cold weather this week haven’t made things easy on any program headed into the regional round of the IHSAA state tournament. But it’s also the time of year when the Warriors would be tapering off their workouts anyway, so if it had to come, it’s not the worst possible time for it. Besides, head coach Frank Bumgardner has a pretty veteran crew of grapplers who understand how to manage their time individually. While Bumgardner is confident in his wrestlers’ willingness to work on their own, individual weight management is always a bit of a concern for any high school coach under the current circumstances. Without the ability to monitor them throughout the week, he’s hoping his Warriors have been sound about their nutrition. On the other hand, it’s not something he’s panicking about, either. 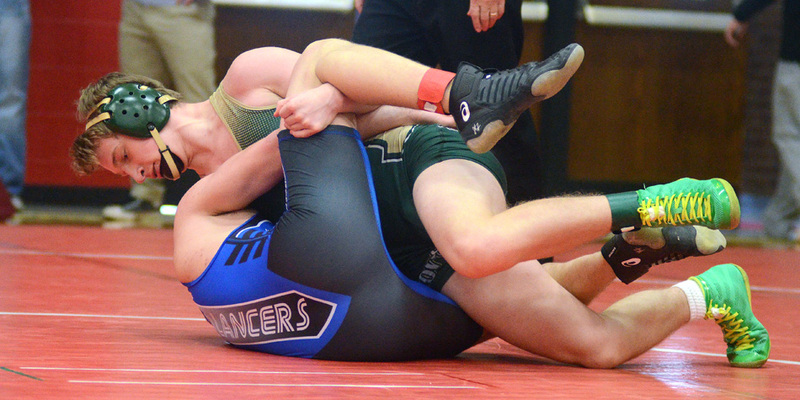 Wawasee brings 13 wrestlers into Saturday’s Penn tournament, and a 14th — 126-pounder Brenden Dilley — could also see action after earning a fifth-place finish at Plymouth and a spot as an alternate at the regional tilt. With nearly all of its lineup alive in the tourney, the Warriors have a legitimate shot at the program’s first regional team championship since 1998. It’s a similar situation to last year’s regional, when all 14 of Wawasee’s wrestlers earned top four finishes to advance to Penn. The Warriors wound up settling for a very respectable third place then, but it’s an experience they learned from, too. Geremia Brooks sticks his opponent in the 132-pound finals of last weekend’s sectional tourney. “Last year we went into the regional in a very similar situation, and I thought our focus was wrong. We felt kind of jittery. We felt kind of anxious. We talked a lot about ‘Hey, we’ve got an opportunity to win. We’ve got an opportunity,’ and I’m not going to say that we underperformed because we still got nine guys to the semi-state but I did not feel that our performance was as good as it could’ve been,” recalled Bumgardner. The top four wrestlers in each weight class are guaranteed a spot at next weekend’s East Chicago Semi-State. The first round is the most important since it’s essentially the ticket round — first-match winners can finish no lower than fourth place at Penn. Bumgardner likes his team’s first-round match-ups, and he likes where his wrestlers are at right now. “Looking at them, I don’t feel as though there’s any draws where we go ‘There’s no way we can possibly win.’ I know at 170 we’ve got Joe Walker from Mishawaka who is ranked fourth. He’s a stud, but we’ve wrestled him before with Fernando (Hernandez), and Fernando can wrestle with him,” said Bumgardner. Also still alive at Saturday’s Penn Regional are eight Warsaw wrestlers, five wrestlers from Tippecanoe Valley and three from Triton. NorthWood sends three to the Goshen Regional this weekend, meanwhile. Wrestling at both tournaments is scheduled to start at 9:30 a.m.